New Jersey Advance Media rented a small plane to photograph crowds enjoying the state's famous beaches over the Fourth of July holiday weekend. But then the government shut down on Friday, closing state beaches. Photojournalist Andrew Mills decided to go anyway, thinking miles of empty sand would be an interesting visual story, too. And what he found has embroiled the country's least popular governor in what many are already calling "Beachgate." That's because Mills did find one New Jerseyan enjoying the beach on Sunday: Gov. Chris Christie. Mills wrote an amusing account of how the publication caught Christie lounging with his family on the sand, spotted at Island Beach State Park outside the state-owned governor's beach house. Using a long-range lens aboard the small plane, Mills found Christie, took a few shots, and had the pilot fly by again to get some more. In one of the photos, Christie appeared to look right at the camera. Mills said that's when he knew he had him. "I've successfully hunted fugitives out of the country. I've caught alleged criminals trying to sneak out back doors of their homes or into back doors of courthouses. I've nailed high school basketball coaches warehousing players in their apartments," he wrote. "Most of the time, I get the shots and make a clean getaway. But once in a while, when the eyes meet, you know the jig is up." At a press conference afterward, Christie was asked if he enjoyed the beach on Sunday. "I didn't get any sun today," he said. When NJ.com posted the photos Sunday night, the governor's spokesman, Brian Murray, had to clarify that Christie was, in fact, at the beach. "He did not get any sun," Murray said. "He had a baseball hat on." 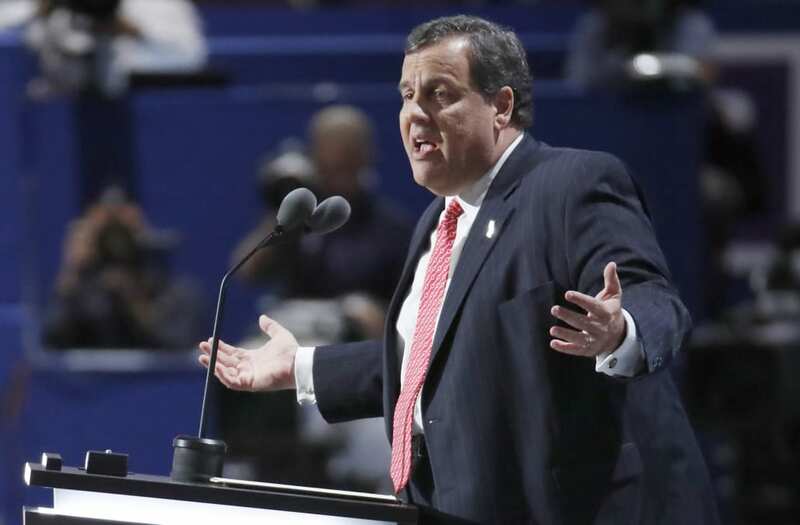 Christie defended his actions in interviews with local Fox affiliates on Monday morning. "They actually caught a politician being where he said he was going to be with the people he said he was going to be with, his wife and children and their friends. I am sure they will get a Pulitzer for this one," he told Fox 5 in New York. "They caught me doing what I said I was going to do with the people I said I was going to be with." When Fox 29 in Philadelphia asked him about the photos, and why he was enjoying the beach when the public couldn't, Christie said, "I'm sorry they're not the governor." Christie then posted one of the photos Mills took on his Twitter feed Monday morning, encouraging New Jerseyans to enjoy the state's 119 miles of coastline — except the 11 miles that are still closed in the shutdown.